After the Continental Mobile Camps in Africa and Asia the mYouth 2.0. the project continued its journey to Salzburg, Austria. 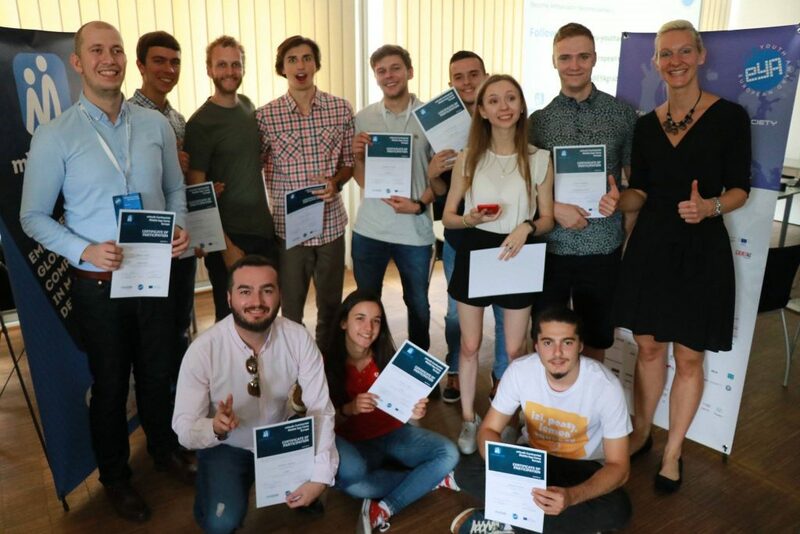 The “city of Mozart” was the host to twelve young app developers from Austria, Macedonia, Romania, and Poland who were competing for the last four places for the Intercontinental Camp and Business Training in Macedonia. During the 6 days of the Camp, the participants enjoyed the co-working and peer-to-peer learning, as well as had the chance to attain pitch trainings held by the project`s staff in order to prepare them for the final pitching. In a very dynamic and vibrant community, they also worked together with their fellow peers from the Media Moving Forward Camp, organized by the International Center for New Media and gain publicity with the journalist` articles written for their respective mobile apps and the issues they address. 1. SmartGuard from Austria – app that helps people at risk in emergency cases. The Smart Buddy studies your health situation and your average heartbeat, analyzes the noises surrounding you (silence, screaming, bombs, and others), your movements and your location and sends an auto-alarm for the current situation to contacts of your choice or to emergency services. 2. Applinka from Macedonia – app through which the users can contribute on saving their environment. The main idea is to contribute on reducing the air pollution and other kind of pollution in the nearest area, and beside that living healthier. The users can challenge their friends for certain activities such as: going to school/work by bike, walk instead of driving, recycling certain materials, using public transportation, cleaning a public park, planting trees in public places, etc. 3. Studentist from Romania – app that connects students in the process of becoming dentists (and who need patients to learn) and people who want to get medical treatment but cannot really afford it. 4. PocketCoach from Austria – app that helps to deal with stress and anxiety. It offers hundreds of sessions via messenger chat that teach you a wide variety of coping skills. It’s build around small activities you can complete anywhere and anytime. 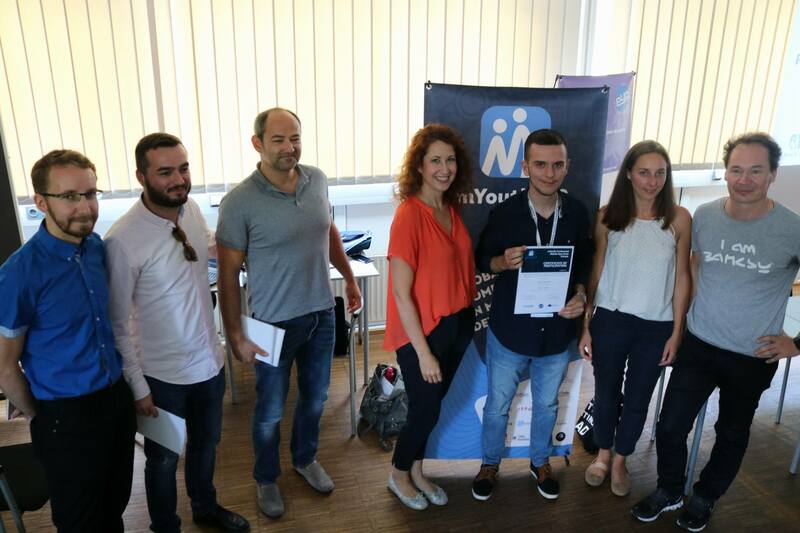 The winners will be offered the opportunity to attend the Intercontinental Camp and Business Training in Macedonia and will compete for the European Youth Award in the special category of mYouth. 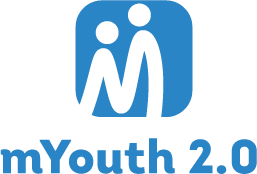 Next mYouth 2.0. stop is Macedonia. Stay tuned!